Reading elsewhere in A History of the World in 100 Objects I came across this quote from a letter by Geoffrey Chaucer to his 10-year-old son, Lewis. I have seen that there will be some instructions that will not in all things deliver their intended results; and some of them be too hard for thy tender age of ten years to understand. It can be used to tell positions of stars and planets, your latitude, and is an inclinometer. And probably a few other things too. The parallels with smartphones is obvious. A new device, that fits in the pocket, and does an amazing amount of things. And so complicated it takes a ten-year-old to understand it. The parallels with the hand axe are apparent too. Again hand-sized (pocket-sized except it was probably invented before the pocket) with a wide variety of applications. The fascination with technology is an in-built human experience. Anyone who claims that technology is dehumanising hasn’t really been paying attention to how we evolved. Sure it changes us, but that’s a fundamental part of the human experience. And yet frequently in education I’ve come across resistance, not because it’s difficult or time-consuming (though it can be that) but because people have said they have an ideological opposition to it. Which is perhaps overstating their case. It’s more accurate to say they didn’t like it. But look at that. Imagine you’re in 1391 – how cool would it be to own one of those? Scratch that, it’s still cool in 2016. Alone that shouldn’t be the basis of educational experience (the “cult of the shiny”) but it has to count for something. That’s one reason why mobile devices are so loved. They are cool, and they’re always to hand, and they have a multitude of uses. Torch, satnav, book, music player, games console, text messager, internet browser, clock, stopwatch, timezone converter, camera, (still and movie), calculator, TV. About the only thing I don’t use mine for is as a phone. I wouldn’t say it was a fixed part of me (I’m always putting mine down somewhere and forgetting it). But it is an extension of my means to interact with the world. That’s my one quibble with the book. 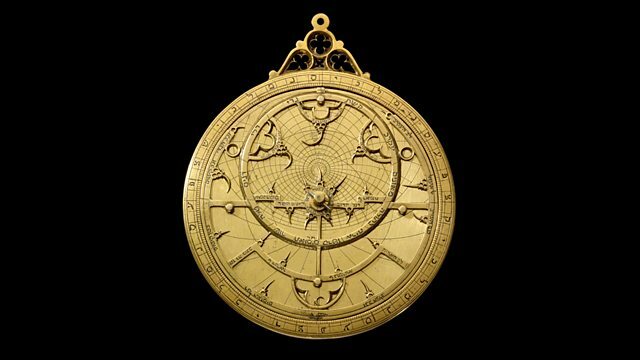 The 100th object is a credit card, supposedly being the device that sums up our time in the way that the astrolabe summed up the 14th century. I think even back in 2010 when the book came out, the smartphone was evidently the defining device of our time. And now of course it’s making the credit card obsolete. Douglas Adams described technology as a tool that doesn’t work yet. Marshall McLuhan described a tool that becomes an extension of us as a prosthesis. So gradually there’s an evolutionary process of our devices, from technology, to tool, to prosthesis. We appropriate the technology into our sense of our own selves, so that as a prosthesis it’s part of our proprioceptive system. Once the device becomes an extension of our bodies we don’t want to be separated from it, but it becomes an ideal medium for learning, because while operating it we don’t think about how to operate it, any more than we think about how to pick things up with our hands. It’s truly an invisible technology. This is why designers change an interface at their peril. Often people will respond to the howls of protest with derision, as if it’s just a knee-jerk antipathy to change. Sure change is the only constant, but the impediment to that sense of a device as prosthesis is real. Once you’re slowed down by having to think where everything is on the device, it starts getting in the way again, like having to relearn how to walk if you’ve had your left and right feet swapped. When it seems like the upgrade has just been for the sake of it (or worse, because they’ve come up with a more intrusive way to sell you stuff – take note Twitter and Skype) then people are right to be pissed off. It’s also why mobile learning is so effective. Yes it frees people from being tied to one spot for their learning. I can now read anywhere I’ve got a few minutes, because I’ll have my phone on me whereas I rarely would have a book on me, as they don’t fit in my pocket. Anywhere can then become a learning space (more interstitial spaces). But it’s also because mobile devices aren’t a technology, they’re not even a tool, they’re part of us. We therefore feel connected to them in a way we’re not connected to other things, and whatever takes place with them or through them makes the activities feel more personal, and more engaging and, arguably, a more fully-realised experience, because the experience isn’t just on a screen, it’s physically engaged with. Part of The Body Electric. This entry was tagged btlc, embodiment, interstitial spaces, mobile devices, mobile learning, ocsld, smartphones, tooc. Bookmark the permalink.